A mining company in Southland was one of the companies that won awards at last week’s New Zealand Mineral Forum in Queenstown. The Southland Times said Greenbriar Ltd won an environmental management award for extinguishing a fire at its Ohai coal mine that had reportedly been burning underground for 60 years. The company inherited the coal seam fire, which broke out at the M12 coal seam at Pit 6 back in the 1950s, when it was bought by Ohai and New Vale Coal from Solid Energy last year. The newspaper said Solid Energy developed a plan to extinguish the blaze and return the land to a stable state based on environmental design standards and water catchment rules set by the Environment Southland. Greenbriar followed the same plan and put it into practice. Awards judging panel chairman Bernie Napp said Greenbriar was given the award for completion of both the extinguishing of the historical fire and the undertaking of diverse environmental mitigation measures. It was reported that if not managed, the mine fire could have caused considerable damage to the surrounding environment – including a sink-hole risk, scrub fires, and contamination of the nearby Morley Stream. “If left untouched the land would be unstable, have no intrinsic value and continue to pollute and threaten the environment,” Stodart said told the Southland Times. Other companies to win awards were Christchurch-based Isaac Construction and the country’s largest gold miner OceanaGold Corporation for its work on environmental restoration at the Globe-Progress mine in Reefton. 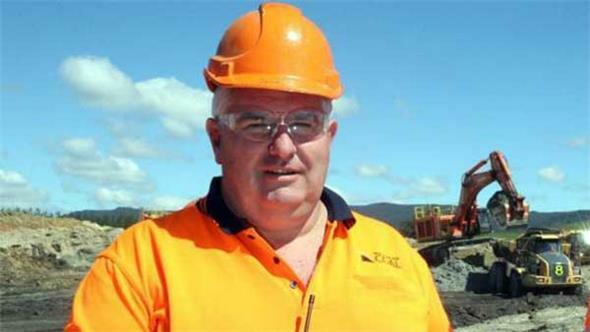 New Vale coal mine manager Antony Stodart. Photo: Southland Times.